RF1 - Timeline Television Ltd. This unique compact 7.5t satellite and outside broadcast truck provides a dual 2.4m dish facility capable of delivering multiple UHD and HD uplinks. With its trailer-mounted second dish it forms one of the most powerful mobile satellite facilities in the UK. Its spacious and well-equipped production area offers a 4K OB facility for programmes requiring up to six cameras with 5.1 sound. Seating for a team of up to eight ensures that productions can be delivered in comfort. The vision system provides full UHD routing and monitoring with Axon Cerebrum providing control of matrix, converters and mixer. A SAM Kula mixer provides comprehensive UHD and HD operation. 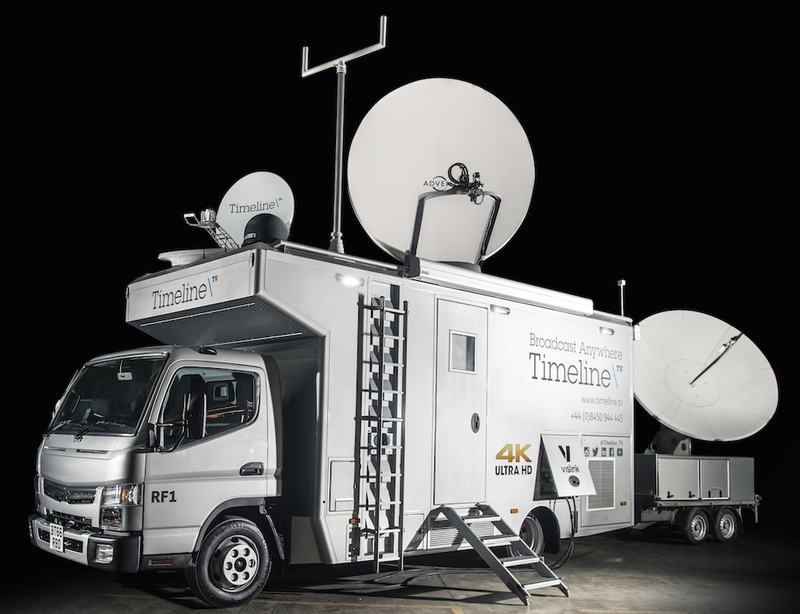 RF1 is an all-in-one UHD production and uplink OB truck with eight operational positions.